There’s an old quip: ‘What’s another word for a thesaurus?’ In fact, there is another word for a thesaurus and what’s more, there always has been: synonymicon. Next time someone rolls out that old line, you can respond by telling them that. It might not make you the most popular person at a party, but fans of word trivia (and that’s all of us, right?) will love you for it. And, simultaneously, hate you. At any rate, it’ll stop that person trotting out that old thesaurus gag again. In fact, the word ‘thesaurus’ came to be applied to a book of synonyms because of one man, whose name is forever linked to this genre of book: Peter Mark Roget. In the world of dictionaries we talk of Webster’s or Johnson’s or Chambers’, but ‘thesaurus’ belongs to Roget alone. Aptly, the terms ‘Roget’ and ‘thesaurus’ have become synonymous. Thesauri (to give the word its correct plural) existed before Roget published his book, but they were known as synonymicons: in his 1813 book English Synonyms Discriminated, William Taylor uses this word to describe his dictionary of synonyms. Similarly, the word ‘thesaurus’ had been knocking around for a while – meaning a storehouse or receptacle for treasure and, from the sixteenth century, a dictionary or encyclopaedia – but it would not be until 1852 that the word would be applied specifically to a book of synonyms, when Peter Mark Roget published the work that has become known as Roget’s Thesaurus. Having said that, by the time it was published Roget had been at work on his thesaurus for almost half a century, since 1805 when he was a young medical professional working in Manchester. Although he wasn’t resident in the city for long, it was while he was in Manchester that the idea for his thesaurus began to take root. In 1804, he became chief surgeon at the Manchester Infirmary. Two years later, he became the first secretary of the Portico Library on Mosley Street – whose chairman was later William Gaskell, husband of the novelist – and he was also a Vice President of the Manchester Literary and Philosophical Association. Roget had been born in London in 1779, the son of a Swiss clergyman. He suffered from bouts of depression throughout his life, and it’s not hard to see why. It seems to have been in his genes – his mother was prone to paranoia, and one of his grandmothers may have had schizophrenia – and a series of tragic events involving other family members can’t have helped. His father died young, as did his wife. In 1818, when Roget was thirty-nine, his uncle committed suicide by cutting his throat in his nephew’s presence. List-making – specifically, compiling lists of words with similar meanings to each other – appears to have been Roget’s way of coping with the blacker periods in his life, of bringing order to a chaotic and unpredictable world. It was only once he retired that he turned to the task of publishing the book that had been his life’s work. The original edition of Roget’s is a valuable source of colourful words and phrases which have long fallen out of use. Under ‘sensualist’, for example, as well as ‘Sybarite’ and ‘voluptuary’ we find ‘Sardanapalus’ (from the legend surrounding an Assyrian king who supposedly passed his entire life in luxury and self-indulgence) and, even more intriguingly, ‘carpet knight’. Under ‘gluttony’ (on the same page; Roget grouped his words together by concept, so it worked as a kind of dictionary in reverse) we find the useful idioms ‘have the stomach of an ostrich’ and ‘play a good knife and fork’. Under ‘flatterer’, we find ‘claw-back’, ‘ear-wig’, ‘pickthank’, and, most majestically of all, ‘Sir Pertinax MacSycophant’. You can open up the original Roget’s at virtually any page and find such vivid terms waiting to be revived. As Roget announced in the book’s preface, his thesaurus was compiled for ‘those who are unpractised in the art of composition, or unused to extempore speaking’ and to offer ‘a helping hand’ to ‘those who are thus painfully groping their way and struggling with the difficulties of composition’. The book was an instant hit, going through twenty-eight printings in the seventeen years between its initial publication and Roget’s death in 1869. To date, it has sold over 40 million copies, with successive editions adding new words to its vocabulary (‘masturbation’ made a controversial arrival among its pages in 2002, while the list of phobias included has grown a great deal). J.M. Barrie was one of many writers who owed a debt to him: indeed, the Peter Pan creator had the Darling family live in a square in Bloomsbury because that’s where Roget lived for a while when in London, and, as Barrie remarked, ‘we whom he has helped to wend our way through life have always wanted to pay him a little compliment’. Sylvia Plath referred to herself as ‘Roget’s strumpet’. The thesaurus wasn’t Roget’s only lasting achievement. 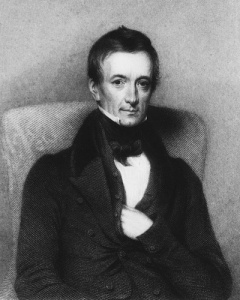 He was a founder of the Manchester Medical School and what became the Royal Society of Medicine, and was active in the formation of the University of London. Mathematicians, too, have been in his debt: in 1815, he invented the slide rule, which until the arrival of the calcu­lator over a century later would be the calculating machine of choice for maths students everywhere. Roget’s theories of optical illusion have even been credited with influencing the development of early cinema. But it’s for his thesaurus that he is best known. Sufferers from monologophobia – fear of repeating the same word in a speech or piece of writing, for want of an alternative – have been grateful, appreciative, thankful, obliged, beholden, and indebted ever since. 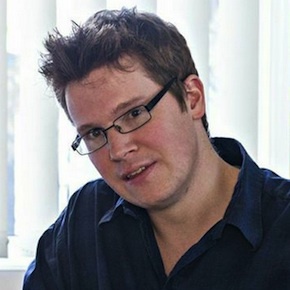 Oliver Tearle is a lecturer in English at Loughborough University and the founder of the popular blog Interesting Literature: A Library of Literary Interestingness. He is the author of The Secret Library: A Book-Lovers’ Journey Through Curiosities of History (Michael O’Mara, 2016) and two academic books, Bewilderments of Vision: Hallucination and Literature, 1880–1914 and T.E. Hulme and Modernism, as well as the co-editor of Crrritic!. 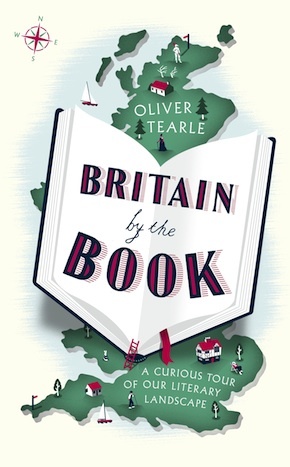 Britain by the Book: A Curious Tour of Our Literary Landscape is out now in hardback and eBook from John Murray.